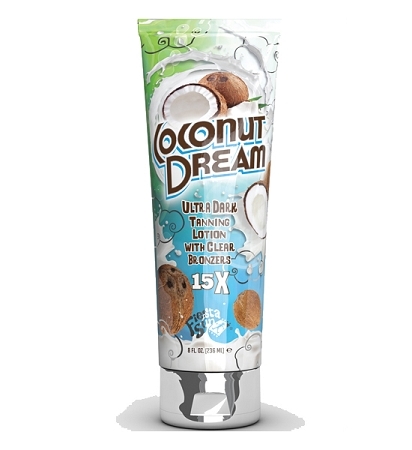 Drench yourself in this rich, ultra dark tanning lotion with clear bronzers designed to give you a luscious, tropical tan color to be envied by all. Your skin will love the natural moisturizing benefits of golden Coconut oil, Shea Butter, Monoi de Tahiti oil along with the replenishing action of natural Aloe Vera. DREAM – A series of images, ideas, emotions and sensations occurring involuntarily in the mind.